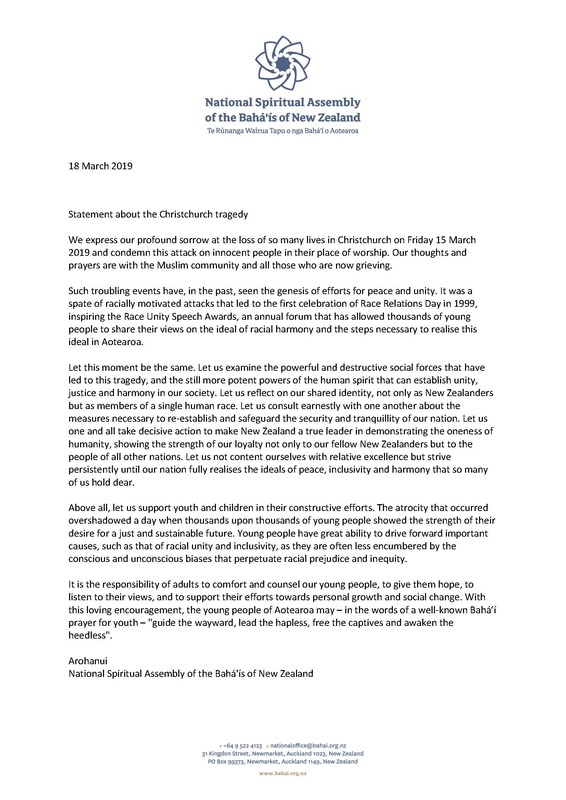 The National Assembly is the governing council of the Baha’is of New Zealand, and it offered its prayers “with the Muslim community and all those who are now grieving.” The entire letter can be read here. Let us examine the powerful and destructive social forces that have led to this tragedy, and the still more potent powers of the human spirit that can establish unity, justice and harmony in our society. Let us reflect on our shared identity, not only as New Zealanders but as members of a single human race.